Following a teaser released earlier this week, Ford has fully unveiled the 2015 C-MAX and Grand C-MAX facelift which come with a series of visual and mechanical changes. Both come with a redesigned front fascia with the now familiar Aston Martin-like grille along with updated headlights benefiting from LED daytime running lights. The back shows a cleaner and simpler tailgate design flanked by smaller taillights and there's also a slightly updated bumper. Ford will be offering new color choices along with fresh alloy wheel designs to round off the exterior changes. Inside the cabin there's the SYNC 2 infotainment system which debuted on the facelifted Focus and comes with an eight-inch touchscreen display replacing most of the buttons to enable a less cluttered dashboard layout. Ford says better materials were used throughout the cabin and there's a heated steering wheel available along with door-sill scuff plates and load-net fitting points behind the front and second row of seats. Thicker side glass together with more absorbent seals around the rearview mirror and tailgate have lowered noise, vibration and harshness inside the cabin, while the engine's noise has also been reduced thanks to the engine bay heat shield which has been filled with acoustic damping material. Moreover, diesel-powered versions come with additional acoustic seals to lower engine noise intrusion further. 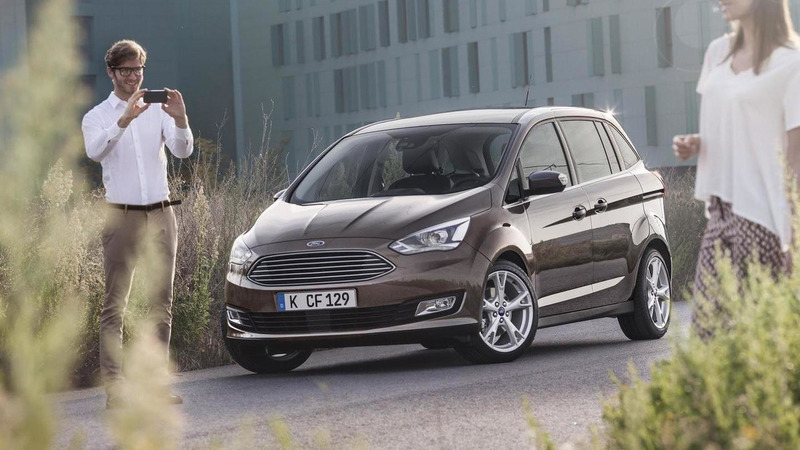 In terms of engines, the 2015 Ford C-MAX and Grand C-MAX will be offered with a new 1.5-liter TDCi rated at 120 PS and an updated 2.0 TDCi with 140 PS & 163 PS. There's also the 1.0-liter EcoBoost outputting 100 PS & 125 PS as well as the 1.5-liter EcoBoost offered with 150 PS and 180 PS. 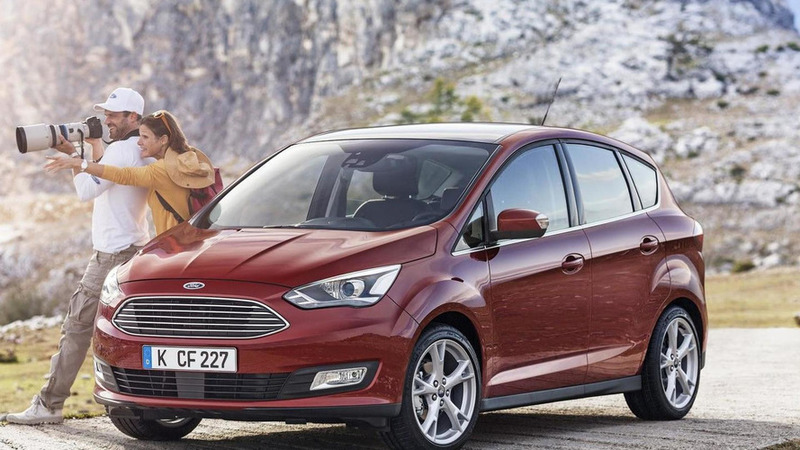 Besides the newer engines, both MPVs benefit from updated steering and suspension systems along with Ford's MyKey technology allowing owners to program the key to restrict top speed, lower audio system volume and other similar options. For more money clients will be able to opt for bi-xenon HID headlamps with Adaptive Front Lighting System and various assistance & safety systems like Active Park Assist, Perpendicular Parking, Cross Traffic Alert, Active City Stop collision avoidance systems, Active Braking and others. 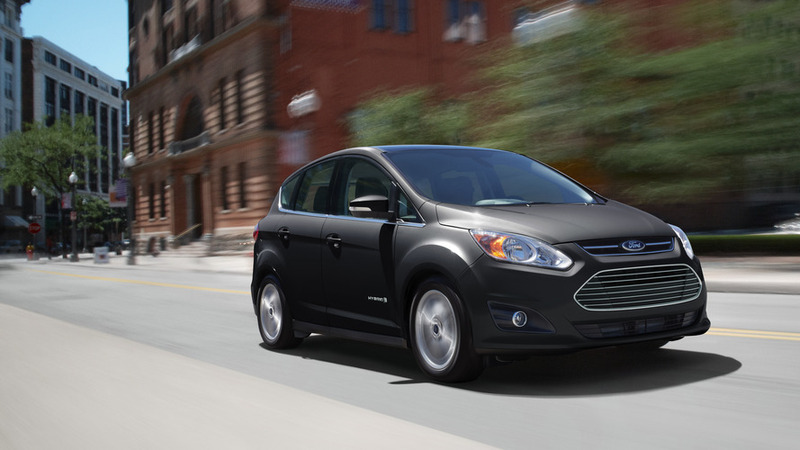 Both the 2015 Ford C-MAX and Grand C-MAX facelifts will premiere early next month at the Paris Motor Show.